Non resident Indians (NRI) are taxable for the income that they receive from India. With effect from 1st of April 2010, non resident Indians are required to obtain Permanent Account Number (PAN) from IT department and provide the same to the deductor. Failure to do so will attract higher withholding of income tax at the rate of 20% compare to the normal income tax rate applicable to the NRI. Deductor failed to deduct income tax from the amount paid to a non resident will be resulted in disallowance of expenses under IT act while calculating income chargeable to tax. So deductor who is aware about this provision will never allow a non resident to receive any payment without deduction of tax from it. In absence of PAN card such deductor will be forced to deduct income tax @ 20%. As per IT act, it provides certain income to be taxable at a rate as specified in the IT act. If it is taxed then the person responsible for paying income to the non resident has to compulsorily deduct income tax as applicable to the non resident. As discussed above, in absence of PAN the deductor has to deduct tax at a rate either @20% or the rate applicable which ever is higher i.e. rate as per double tax agreement or 20% or income tax rate which ever is higher. Income more than the basic exemption limit requires each non resident Indians to pay income tax in India. After paying income tax, NRI has to file his IT return with IT department. To pay tax and file IT return with IT department requires PAN of the assessee. Without a PAN card NRI can not deposit income tax and also can not file his IT return. In India, a non resident Indian will not be taxable unless and until his incomes are in excess of the basic exemption limit except few incomes which are taxable at any cost. If any deductor has deducted TDS from an income of NRI then such tax as deducted can be claimed as refund. 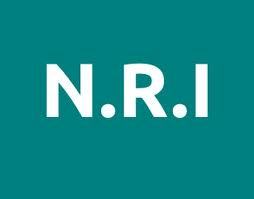 Any excess tax deducted from NRI than the IT liability can be claimed as refund. Refund can be obtained in many cases but to file refund the NRI has to file his IT return with IT department. To file such IT return NRI has to obtain PAN card from IT department before such filling. As per section 139 of IT act, certain financial transactions are specifically require a person to mention his PAN like an amount of Rs. 50, 000 or more for purchase of units of mutual fund, shares, debentures, payment of life insurance premium, opening a bank account and demat account. If a NRI wants to transact or do any of such transactions then they have to obtain PAN from IT authorities.